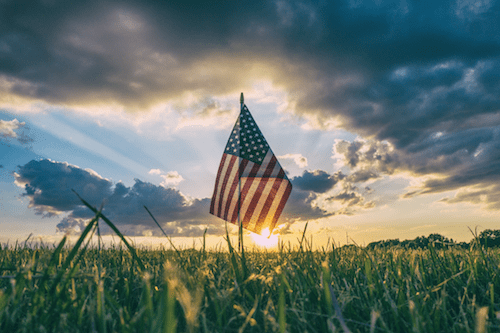 With summertime in full swing, businesses, marketers and professional individuals alike all look down the tunnel at the biggest holiday of the season—the Fourth of July. The United States’s Independence Day commemorates the adoption of the Declaration of Independence on July 4, 1776. However, nowadays, it’s often recognized as the perfect opportunity to light off fireworks, grill out and wear red, white and blue. For brands, the Fourth of July is also a great time to market the business through special deals and promotions. With all of the excitement surrounding the Fourth of July, consumers are searching for sales. How does your business join in? Here are a few marketing reminders. Use red, white and blue. Obviously, one of the easiest ways to embrace the holiday is to use red, white and blue everywhere you can with the business. Whether it’s hanging a banner in the store window, having employees wear red, white and blue during the week or using the colors on your website, go all-out with the red, white and blue over the next week. Holidays are the perfect time to embrace social media and share your brand through Facebook, Twitter, LinkedIn, Instagram, etc. The Fourth of July is your chance to be less serious and more welcoming, which appeals to a wide variety of customers. Create a custom image or share a post on your social media pages that celebrates Independence Day. Who doesn’t love free stuff? Use this upcoming week to really get people talking about your brand by giving away special Fourth of July swag for customers. Or, offer free goodies for consumers who provide their email address. Offering free items draws people in, engages them with your brand and helps them remember your business for the future, long after Independence Day has passed. One of the best things about holidays—Fourth of July included—are the sales. Provide patriotic sales, offers and promotions for all of your new and loyal customers. If you run a sale, be sure to share it on social media, through your email marketing or via advertisements to let consumers know. Once customers try your product or service with an Independence Day sale, they’re more likely to stay and try more later on. Holidays are also ideal when it comes to writing valuable, interesting, click-worthy content for your website. Take the Fourth of July as an opportunity to share a blog with your customers. Have it relate to the product or service, or write about anything applicable to the holiday, such as food ideas, family friendly activities or fireworks safety tips. Finally, many communities host different activities and fairs throughout the week to celebrate the Fourth of July. See how your business can get involved as a sponsor, host a booth or support a nonprofit. By participating locally, you not only get your brand and name out in front of the public, but you also show how much your business supports the community. Independence Day is just around the corner, so make sure your brand is ready to go. Remember these marketing reminders as you prepare for the Fourth of July and see how your efforts can expand the business.